Shop CJ launches Elisha Coy BB cream across platforms on 30th April, 2016. It is Asia’s No. 1 Home Shopping Network and now brings the finest of beauty products for Indian women from the Beauty capital of the world – Korea. Countries like the U.S, Europe and entire South-East Asia is buzzing with the success of Korean beauty products. 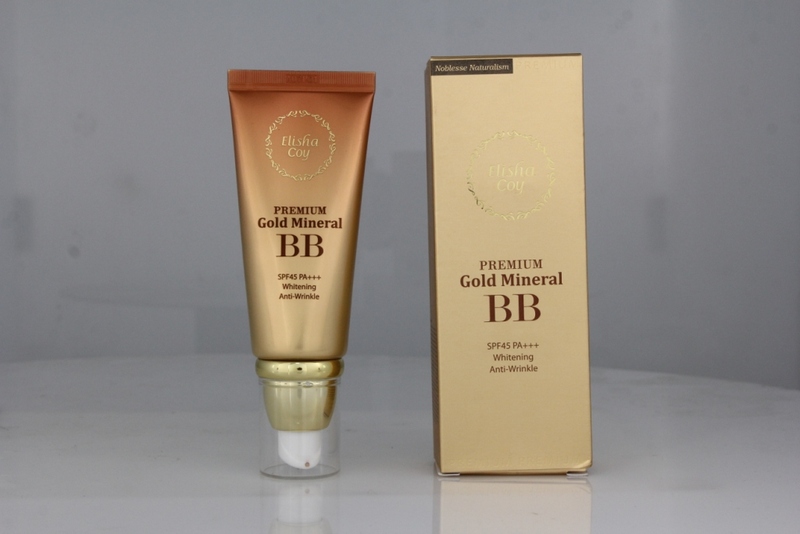 Making such high demand products easily available in Indian market, the first product offered by Shop CJ is Elisha Coy Gold Mineral BB cream. The face cream is loaded with benefits for all types of skin and is available for Rs. 1099/- through online and offline channel of the home shopping network. Why Elisha Coy BB Cream? It acts as a beauty cream with skin benefits providing radiance, anti-ageing, pore-tightening and moisturizing properties. Korean beauty products are regarded as the best in the world, as they are technologically advanced, heavily researched and tested products with excellent results on all types of skin. “Korean beauty products are renowned across the world. In India, we bring the finest of Korean beauty products with proven benefits and have made it available at Shop CJ prices. BB cream is just the start. We are very positive about acceptance of Korean cosmetic products in India.” — Mr. Dhruva Chandrie, Chief Operating Officer – Shop CJ. Shop CJ is expecting a sell-out and has already opened pre-booking option through calls and online, to reduce the burden on live calls during the show. The Home Shopping giant will also be offering many more Korean beauty products this year to strengthen the category in India. SHOP CJ Network Pvt. Ltd. (Formerly Known as STAR CJ Network India Pvt. Ltd) is a 50:50 joint venture between the South Korean home shopping major, CJ O Shopping Co. Ltd. and Providence Equity Partners group. It operates a 24×7 home shopping channel called SHOP CJ (formerly STAR CJ Alive) and a web-based portal www.shopcj.com (formerly www.starcj.com), apart from its programs being available on many other channels. SHOP CJ channel is available on major DTH and analogue & digital cable platforms. It reaches more than 65 million households in India. The channel/service was launched in 2009 and within five and a half years of its operation it reaches 85 million households in India. One of its promoters, CJ O Shopping Co Ltd (“CJ”) operates Asia’s No.1 home shopping network (in terms of Gross Merchandise Value as per Technopak’s Report dated 2nd April 2015) operating in 10 sites, including Korea, China, India, Japan, Vietnam, Thailand, Turkey and Philippines. CJ Shopping brings “shoppertainment” and trendy lifestyle products with value to its customers. What are your thoughts on Korean beauty products? Have you tried them? How was your experience? Share your ideas, experiences and views in the comment section. Previous Previous post: My shopping experience with Limeroad! Next Next post: Why use Social Media Marketing Strategies?